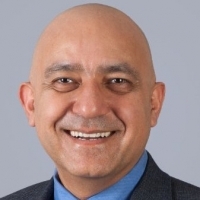 Kaivan Karimi is the Vice President & GM of Wireless Solutions at Atmel Corporation, currently overseeing the development of wireless connectivity solutions for IoT applications, with special focus on Edge/Sensing Node system solutions from the “Things” to “Cloud”. Kaivan has been an IoT evangelist since 2010, and brings over two decades of experience working in cellular wireless, connectivity, core networking and access, sensors, and MCU semiconductor market, with a unique system level perspective spanning the technologies needed to make IoT a reality. Kaivan holds graduate degrees in Engineering (MSEE) & Business (MBA), and is an industry subject matter expert on all topics IoT, regularly speaking at forums, authoring papers and blogs addressing the relevant topic. Prior to joining Atmel, Kaivan was Executive Director, Global Strategy and Business Development at Freescale Semiconductor, driving IoT edge nodes and gateways technology and product requirements, and all company-wide IoT related activities. The function of the IoT Community, is to focus on the adoption & application of IoT in commercial environments, seeking to understand & contribute to applying the technology or overcoming the wide variety of barriers, inhibitors, and technical & operational issues. As a member of the board, Kaivan will provide impartial input and guidance to the overall vision, strategy and execution that is helping to shape the current and future direction for the IoT Community, as well as the broader IoT industry.